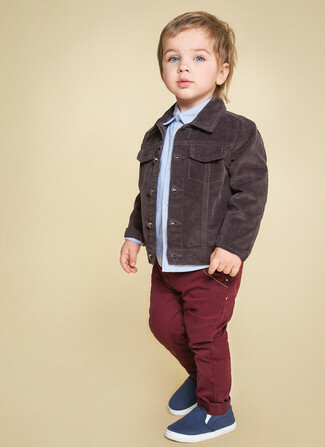 Consider dressing your little guy in a dark brown denim jacket with Joe Fresh toddler boys cord jean black for a laid-back yet fashion-forward outfit. Navy sneakers are a nice choice to round off this ensemble. 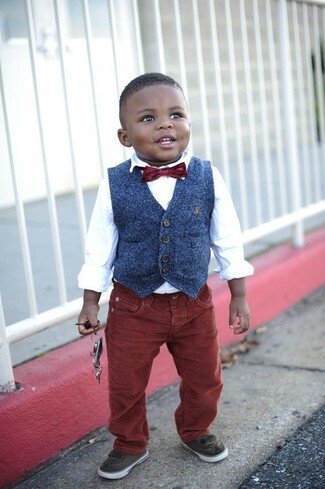 Teach your little one how to look put-together and stylish by suggesting that he pair a navy waistcoat with Joe Fresh toddler boys cord jean black. 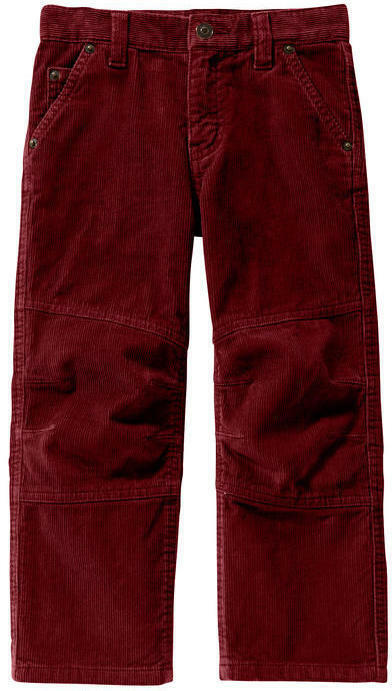 Dark brown sneakers are a great choice to round off this ensemble. 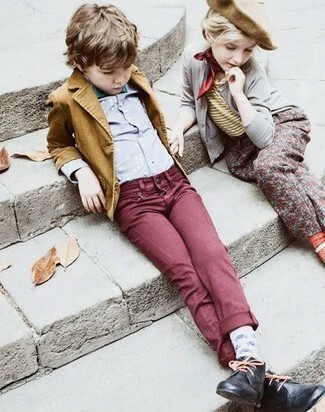 Help your darling look fashionable by suggesting that he team a mustard blazer with burgundy jeans. Black desert boots are a wonderful choice to complete this ensemble.